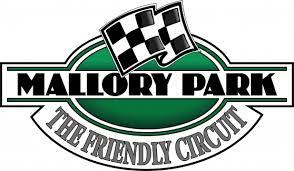 The BARC announces today with considerable regret that it believes it has now exhausted all discussions with the administrator in respect of Mallory Park. The BARC has been informed that the Landlord, Titan Properties, will not reduce the rent by half as widely previously publicised and in fact will only offer terms for the next twelve months without any commitment towards necessary capital expenditure on track works moving forward. The BARC has also been informed that any possible future agreement from Hinckley & Bosworth Borough Council is subject to certain caveats moving forward although we have not seen definitive terms. Clearly the BARC is committed, as it has been over the previous months, to continue operating Motor Sport at Mallory Park, but is not in a position to do so with continuing uncertainty in respect of contractual arrangements with Titan Properties and HBBC. Therefore under these circumstances the BARC has come to the conclusion it is unable to pursue any future involvement with the Mallory Park Circuit.